See the spectacular Verona Arena (Arena di Verona) on this easy-paced 2.5-hour walking tour with an expert local guide. Home to a world-famous annual opera festival, this remarkably preserved Roman amphitheater has a fascinating history and grand modern allure. You’ll also stroll through the UNESCO-listed historical center to see top Verona attractions such as Juliet's House as well as elegant architecture. Numbers are limited to 12 people on this small-group tour, ensuring a more personalized experience. 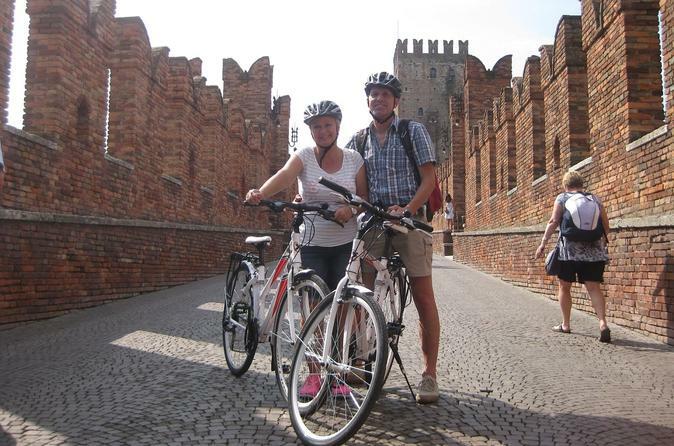 Discover Verona by bike on this leisurely paced 3-hour bike tour. Pedal to must-see attractions and hidden sights including Castelvecchio, two ancient Roman theaters, Ponte Pietra and the Venetian city walls. Admire Juliet's House from Shakespeare’s ‘Romeo and Juliet,’ and climb up to Castel San Pietro for beautiful city views. 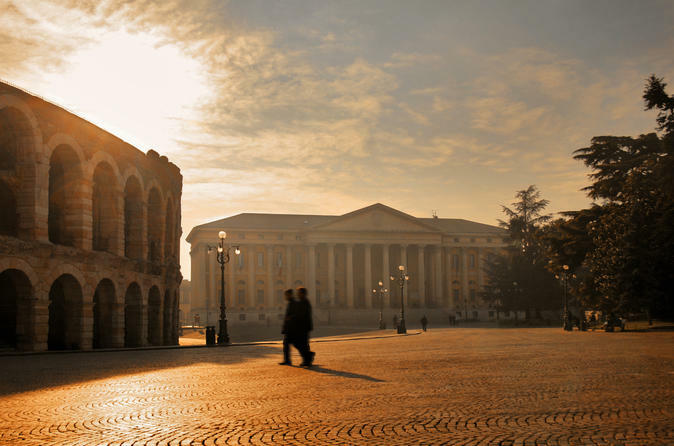 Throughout the tour, learn about Verona’s history and UNESCO World Heritage-listed architecture from a guide. Numbers are limited to twelve on this small-group tour, ensuring a more personalized experience. 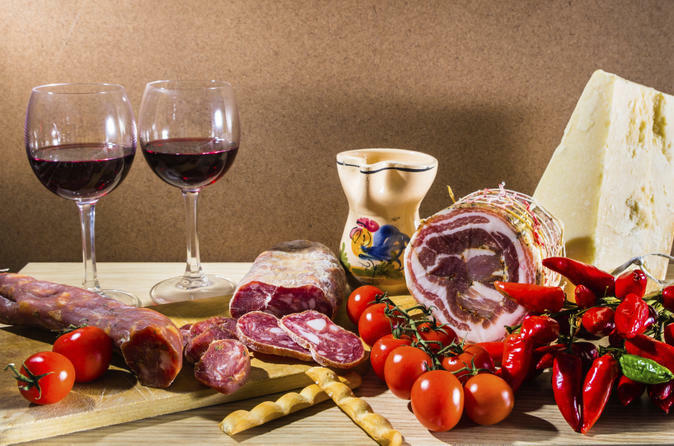 Experience the divine food and drink of fair Verona on a 3.5-hour small-group food tour. Explore the city of love and uncover its gastronomic delights. Drink an espresso and eat a pastry at a local cafe, see tortellini being made by hand during a pasta workshop, then sip on wine from local vineyards. Finish with a light lunch in a delicatessen, where you’ll nibble on cured meat, cheese and pasta. With numbers limited to 12, you can enjoy a personalized and intimate experience. Learn the secrets of Italian cuisine during this hands-on cooking class at a beautiful, brand new venue in central Verona. With an experienced Italian chef by your side, prepare classic Italian dishes including pasta and tiramisu — all from scratch using the freshest ingredients available — and then enjoy your home-cooked meal together while sipping fine Italian wine. Take the recipe book with you to recreate this fabulous Italian meal at home! 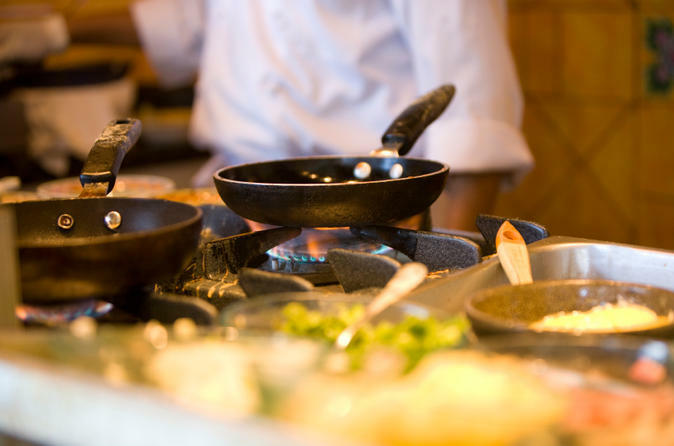 Numbers are limited to 12 people for this small-group cooking class, ensuring you’ll receive personalized attention from your instructor. Hop on a bike for a ride into the vineyard-covered hills of Valpolicella on this 4-hour tour from Verona. 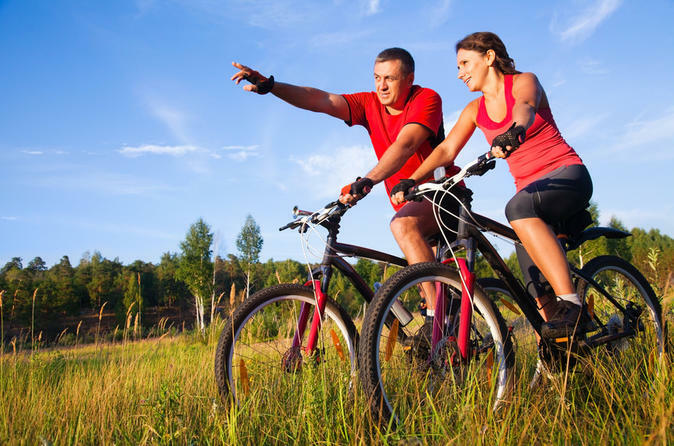 Pair your scenic bike ride with a relaxing wine-tasting session at a local winery. Savor the flavors of amarone and valpolicella red wine while learning about winemaking in Italy’s Veneto region from an expert sommelier. Then savor the views as you descend by bike back into Verona. Numbers are limited to 12 people on this small-group tour, ensuring you’ll receive personalized attention from your guide. 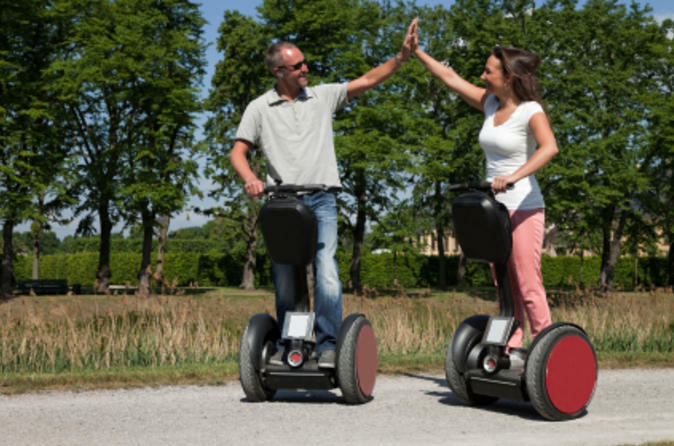 Experience the perfect overview of Verona by Segway on a tour that’s far easier than walking and more unique and private than a coach tour. This amazing sightseeing experience is the best way to admire all the beautiful sights of Verona, including Castelvecchio, the Basilica of St Anastasia and Porta Palio. Numbers are limited to eight people on this small-group tour, ensuring you'll receive personalized attention from your friendly guide. Let an expert host guide you through the unique experience offered by the Bertani family. 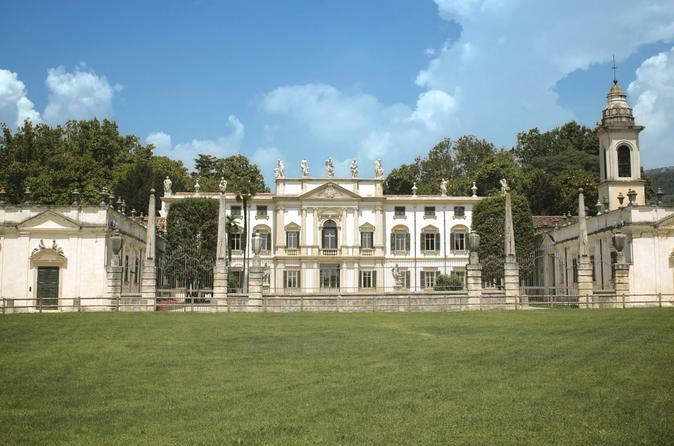 A private tour to the majestic estate will allow you to discover the birthplace of the Amarone Classico Della Valpolicella wine, along with the rich artistic and cultural heritage of Villa Mosconi Bertani and its enchanted gardens. Meet the wine-makers, whose expertise boasts centuries of history, in Villa Mosconi Bertani, an 18th century architectural and natural jewel without equal. 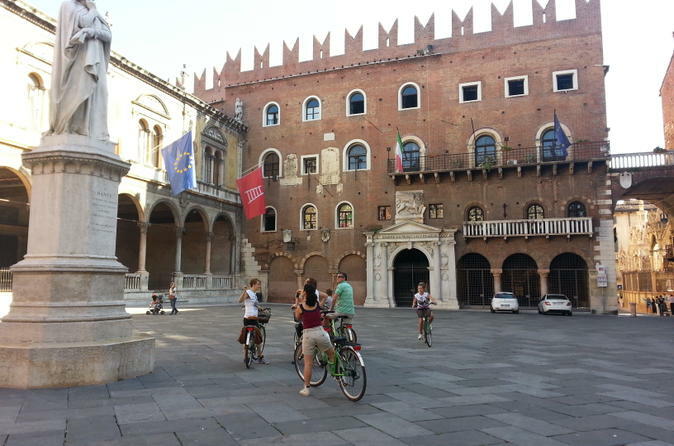 Enjoy a cultural bicycle tour in the city center and along river Adige to see the highlights of Verona. 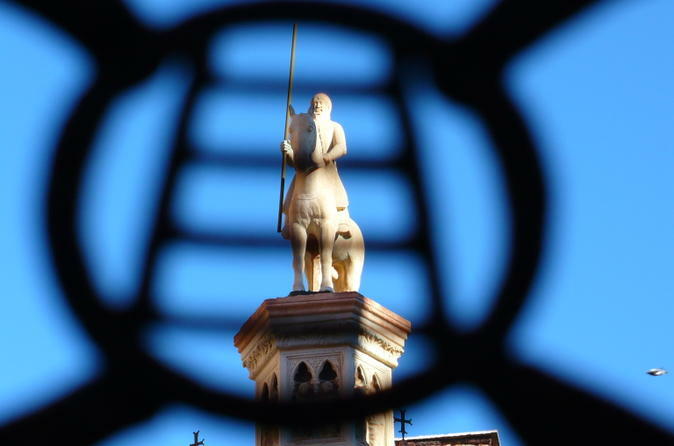 Visit Verona's top attraction like Juliet's house, Porta Borsari and Piazza delle Erbe. A coffee or ice-cream stop is included. 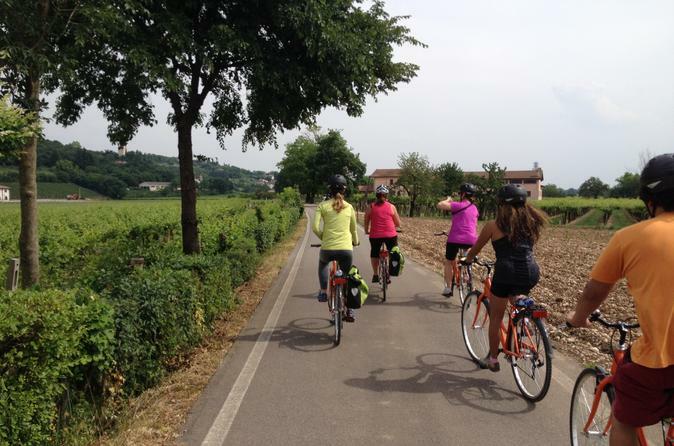 A bike tour with a local is the best way to visit Verona. In 2-hours you will see Juliet’s balcony, painted palaces, Roman gates, medieval alleys, and many romantic views to admire and photograph. This is a small-group tour with a maximum of 10 people. Let an expert host guide you through the unique experience offered by the Bertani family. A private tour to the majestic estate and a fun and informative wine-tasting session will give you a first-hand experience in the birthplace of the Amarone Classico Della Valpolicella wine. 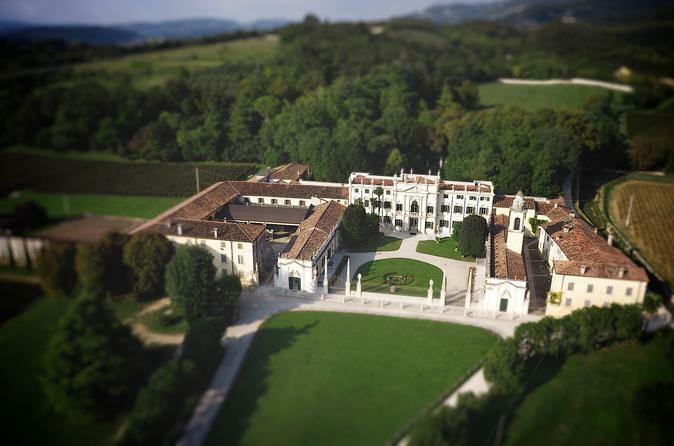 Meet the wine makers, whose expertise boasts centuries of history, in Villa Mosconi Bertani, an 18th century architectural and natural jewel without equal. Cycle into the Verona and Valpolicella countryside and enjoy an olive oil tasting on this scenic 4-hour morning bike tour from Verona with a local guide. Pair your scenic bike ride in a easy and relaxing path and enjoy the visit to a small family-run oil mill. A pleasant break at the mill, in a rural cozy, to savor the olive oil of Valpolicella, with a unique and unforgettable taste. Numbers are limited to 12 people on this small-group tour and is ideal also for families and younger.